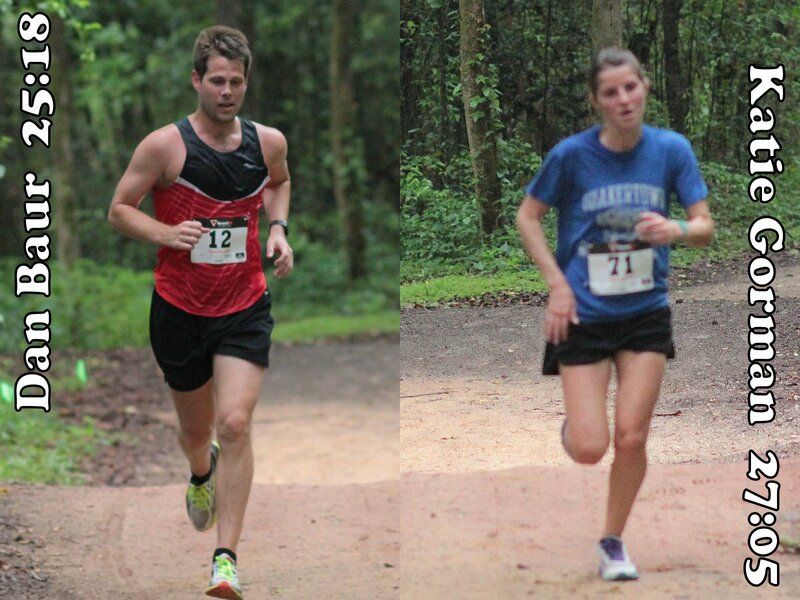 Before Saturday morning, 21 May 2016, neither Dan Baur nor Katie Gorman had run a race in Gulf Winds Track Club's Summer Trail Series. 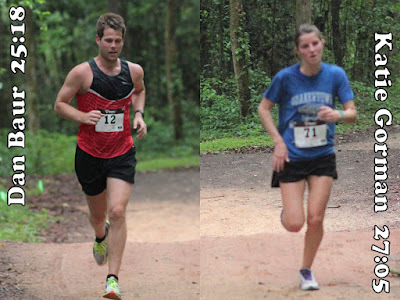 That lack of experience didn't show in Tallahassee, Florida's Tom Brown Park that morning, when Baur won the Magnolia Trail Race and Gorman took the women's title. The three-and-a-half mile race was the opening event in the fourth year of the annual trail series. The course took the runners on a winding tour of single-track trails on the face of a wooded bluff overlooking Lake Lafayette. Dan Baur covered the distance, somewhere between three and four miles, in a winning 25:18. Paul Guyas was second in 25:42. Greg Bargo, an early leader of the race, was third in 25:54. Chad Johnson, the fastest master runner in the race, finished eleventh overall in 28:50. Women's champ Katie Gorman ran 27:05, placing sixth overall. Meg Ogle was second in the women's standings, coming in tenth overall in 28:29. Jocelyn Chan was the third woman and 25th overall in 31:43. Brook Pace, the winner of two Trail Series race in 2013, was the fourth woman and 31st overall in 32:28. Kelly Garland, the top woman master and fifth female finisher, placed 36th overall in 33:36. 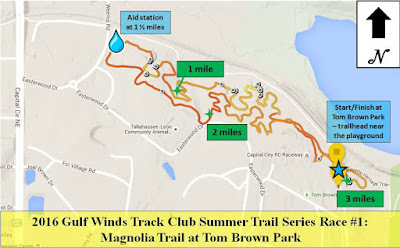 After appearing on the four-race Trail Series schedule in 2013 and 2014, the Magnolia Trail Race was absent from the circuit in 2015 before returning in 2016. 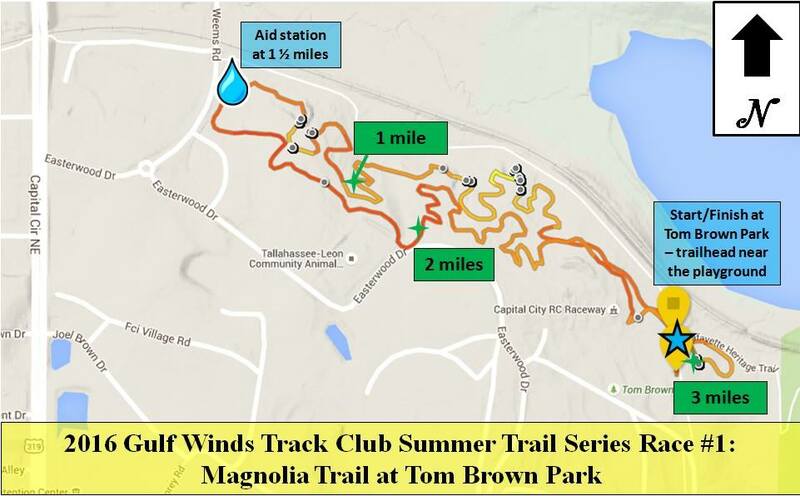 The remaining events of the 2016 Summer Trail Series are the Oak Hammock Trail Race on 4 June 2016, the Red Bug Trail Race on 9 July 2016, and the Cadillac Trail Race on 30 July 2016.